Help Documents - Version 5 Banquet Table WizardHow do I add and remove table registrants? Click the Manage Members button. You only have two types of table registrations: Individual Seats and an entire Table. 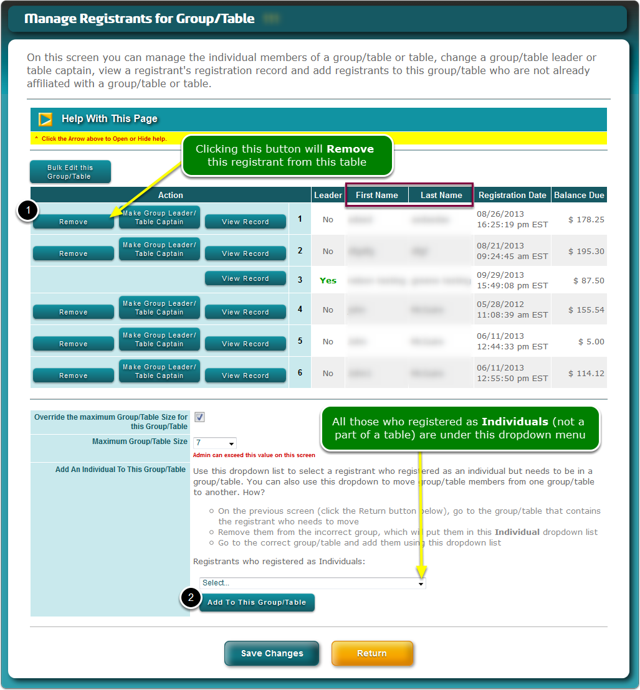 **What happens to registrants removed from a Table? Where do they go? They are put into the Individual dropdown menu. Doing so allows you to add them to some other table. Removed registrants ARE NOT removed from your database, just this table. Prev: How do I add an empty table? Next: How do I change the Table Captain?